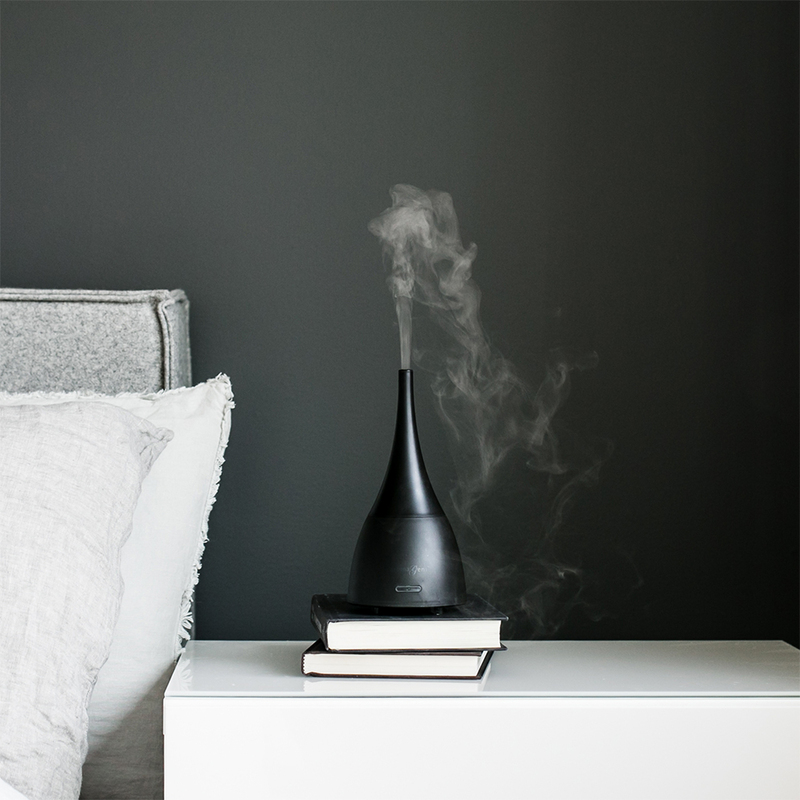 Wellness is in style every hour with this limited edition ultrasonic diffuser. Enhance your well being with the vitality of nature and create a soothing atmosphere with the touch of a button. 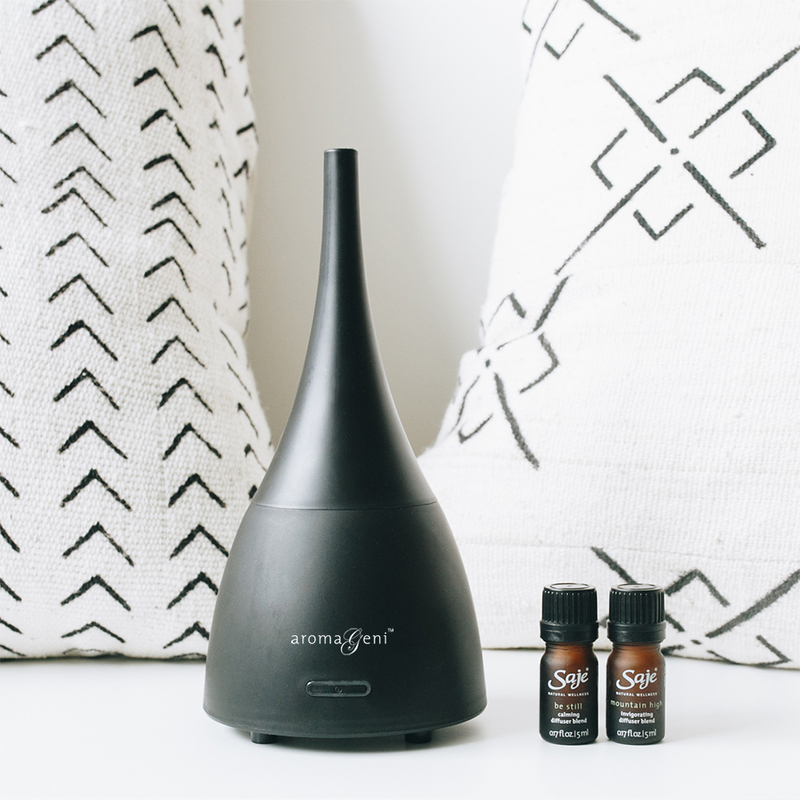 Heat-free diffusion preserves the integrity of the oils for optimal benefit. Soft LED light creates a soothing atmosphere in any room; can be shut off for bed time. 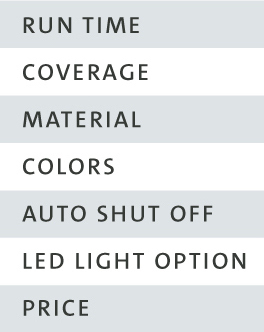 Energy efficient, whisper-quiet operation with an auto shut-off option. I bought my AromaGeni over 3 years ago and it works the same as the day I bought it. Take care of it, and it'll take care of you! Have used many different Saje oils in it, and use rubbing alcohol to clean in between. Couldn't be happier with this diffuser! 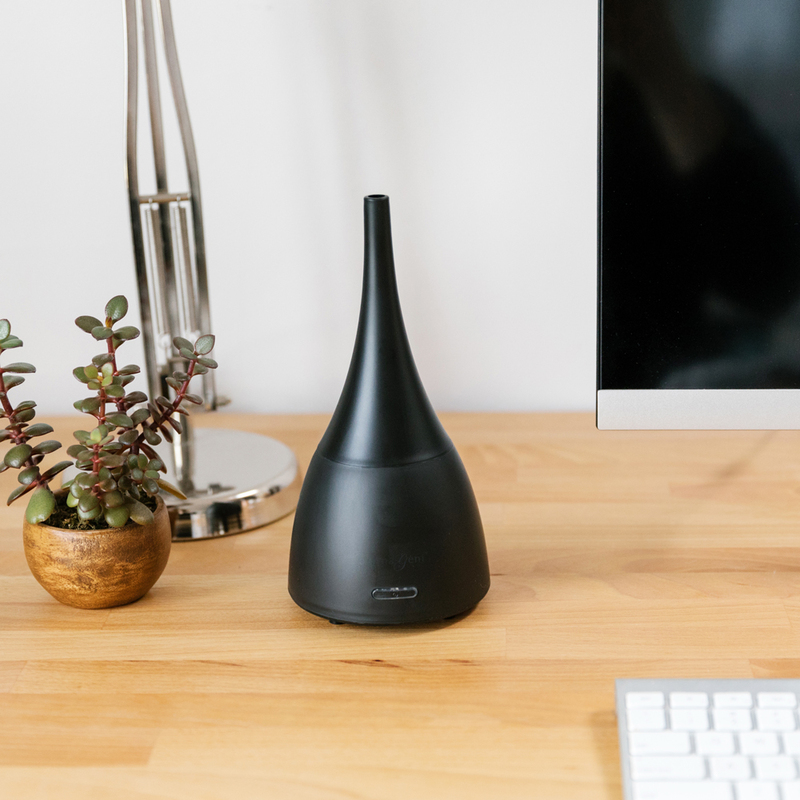 I clean my unit regularly, I use it often, I love diffusing. This unit certainly had a work out, but I used it at Easter, then I went away for work and when I came home- busted. No power, no hum, no lights, no nothing. I'm so sad! I'm leaving 4 stars though because you guys have really great service and I have really enjoyed this for the last year. I already have an aromageni (in taupe), and have enjoyed it. I bought this one online as a Christmas present for my dad. When he tried it out, the light feature wasn't working so we brought it into a Saje store to fix it or exchange it. Turns out the light DOES work; you just can't see when the cover is on :S Pretty useless feature to have and ended up wasting my time and the Saje associate's time figuring this out. Anyway, it is sleek looking, very light weight and easy to use. The colour of it is indeed very dark black, I thought it looked a little more grey/chalky in the picture online. It does produce some sound, so it's not the best to sleep with on if you like complete silence. Need to make sure the chord is pushed in all the way or it won't turn on.